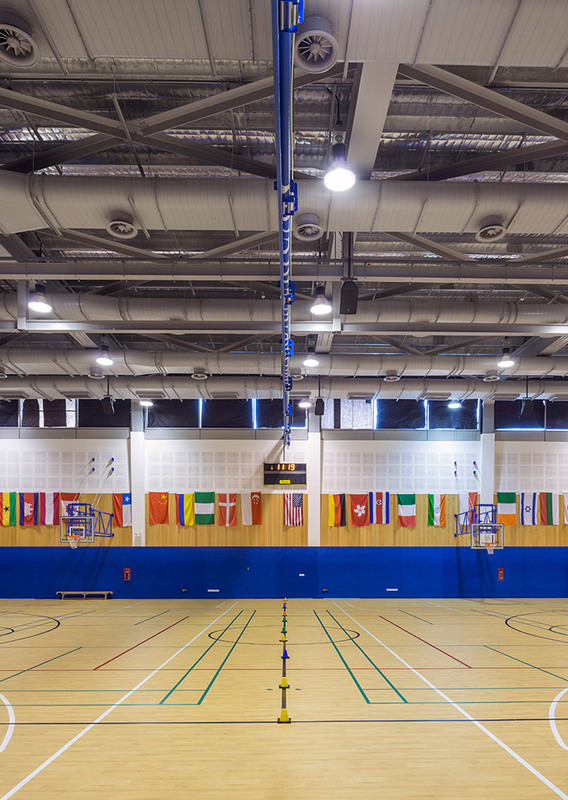 The campus at Stamford American International School is a significant facility accommodating a population of approx. 2,700 students ranging from ages two to 18. 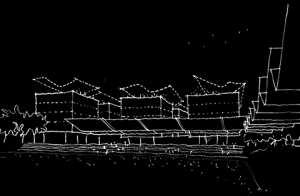 The project was conceived in two major phases located to the west and east of the elevated playing field. The architectural form evolved in response to a series of design principles, the brief and the constrained site. A rectilinear series of functional forms is rationally arranged to create a balance of built form and open space, reaching out and integrating with the symbolic heart of the school campus which runs through the centre of the site – the play deck, the playing field and the newly constructed ‘Stamford Yard’. There is a distinct commitment to the relationship between architecture and pedagogy. Within the school the students experience a seamless transition from classrooms to interior shared learning spaces. A full range of educational facilities are provided which include classrooms arranged in learning clusters, specialist learning facilities including; music and dance studios, state of the art science labs, Innovation Centre, internal and external cafeterias, two gymnasiums with fitness rooms and a climbing wall, a golf simulation centre, two swimming pools, an artificial sporting field, and undercover parking and bus bays. 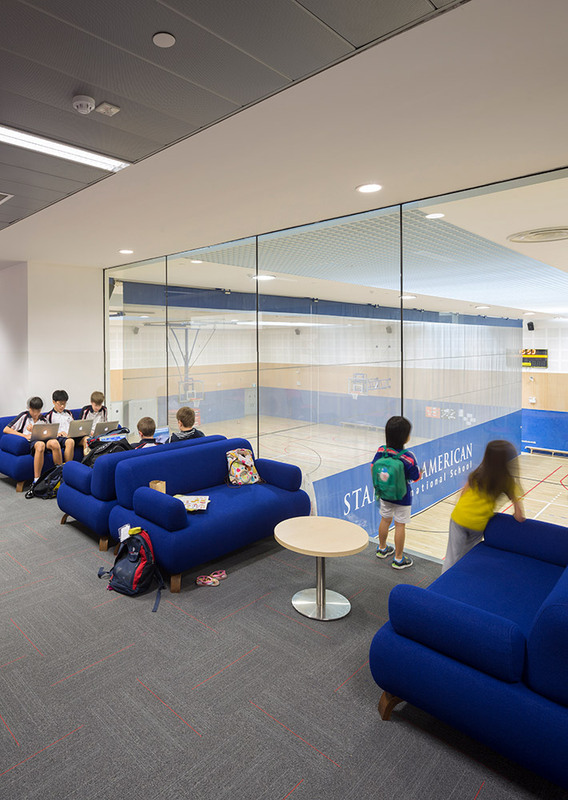 The intersections of these spaces blur and merge together to encourage the movement of different ages students and provide spaces for informal gathering and play. Sustainable design elements are integrated throughout the school to minimise the buildings environmental impact and operating costs. 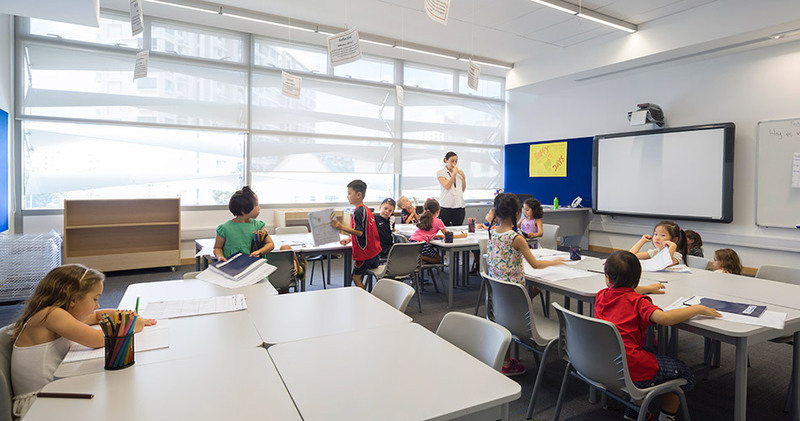 Initiatives employed include the use of green technologies as an educational resource, passive environmental design providing a high quality (IEQ) Indoor Environmental Quality to all teaching spaces. 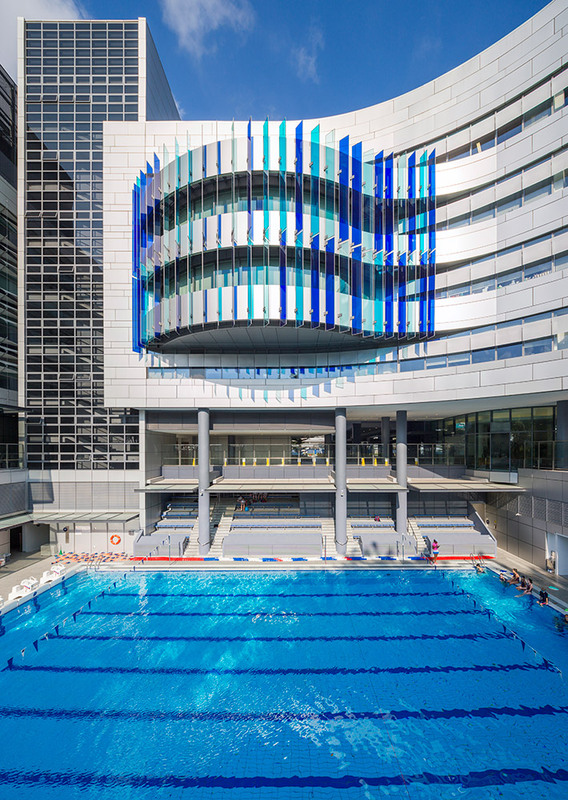 The design of the facade used the American LEED as a benchmark to achieve the best possible result. 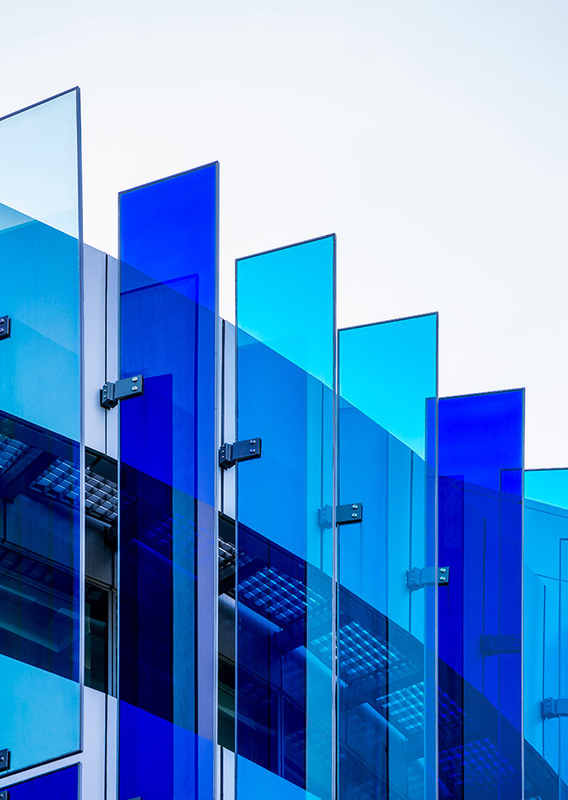 The facade not only sends a sustainability message but also provides an identity for the campus. The overall design is flexible and will enable constant change over time to adapt to new methods of curriculum and teaching.